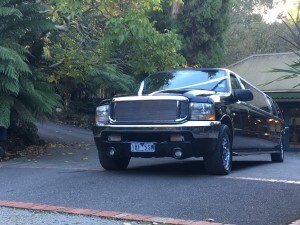 Exclusive Limousines is specialized in providing exquisite transport service to its esteemed customers and make their winery tour in Melbourne more enchanting. With our services, we let you to spend a whole day in the midst of gorgeous sceneries and taste delicious yet fresh wines in Melbourne wineries. Right from picking you up from your doorstep to exploring the wineries and dropping you back in your place, we take care of everything and cater to your every need. We assure you that you will enjoy unmatched relaxation and flexibility with our limo hire in Melbourne. During the winery tour, we offer ample opportunities to take some nice photographs and have fun and pleasure along the way. Our fleet of vehicles can accommodate 6 passengers to 18 passengers and so, you can choose the one based on your requirements. All the passengers can travel comfortably as our limousines are extremely spacious and are integrated with luxurious features. We promise you that you will not face any space constraint while using our hummer hire services. We take pride in conveying that all our vehicles are well maintained whereas the interiors are impeccably clean and fresh. Moreover, our hummers are driven by experienced chauffeurs and this gives you a peace of mind knowing that you have a professional at your disposal. We also let you to enjoy the winery tour at your leisure with our hummer hire in Melbourne. Whether you need a limo for a short term or long term, you can pick up the suitable vehicle from Exclusive Limousines. We guarantee you that our hummer hire services are cost effective as you enjoy utmost leisure and comfort, and take complete advantage of the amenities included in it for a nominal cost. To make your transportation enjoyable and enjoy all sorts of leisure during the journey, call us today and book one of our luxurious hummers!